Over the past twenty years the redwood groves on public lands have been systemically surveyed for tree height using both ground based rangefinders as well as airplane based LiDAR pulse measurements. 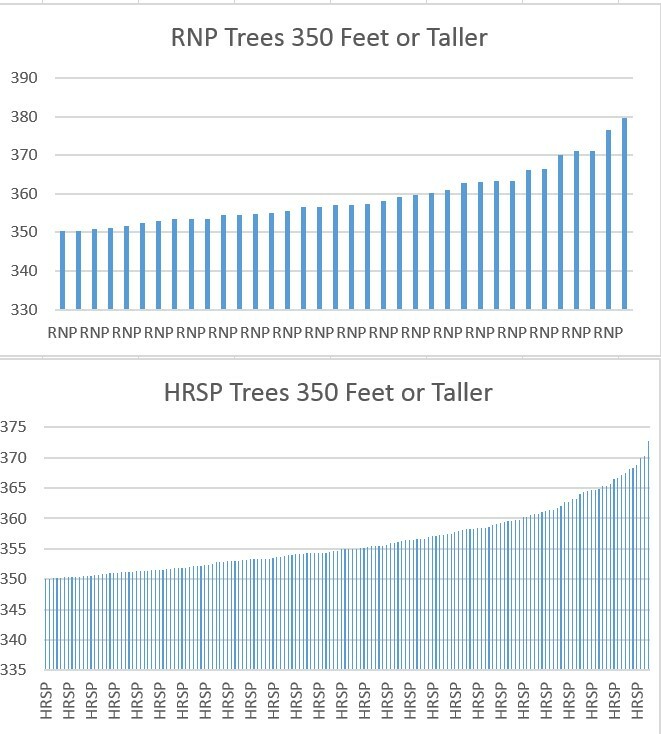 The resulting point in time data has identified 220 individual trees at or over 350 feet in height on public lands. 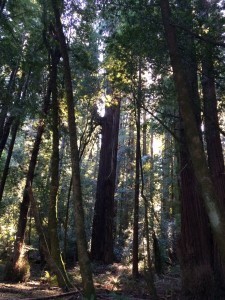 It is possible there are a few other trees over 350 feet on private lands (half the remaining old growth redwood forest is on private land but the public lands generally have the better redwood habitat). 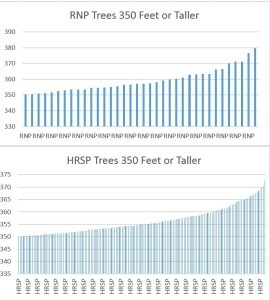 This is a graph of the distribution of height for these trees. 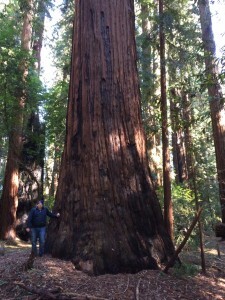 As you can see redwoods over 360 feet are rare, just 51 trees. 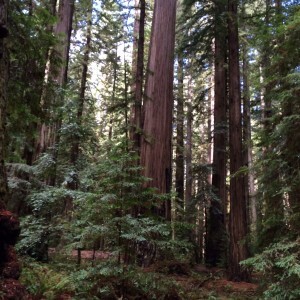 And redwoods over 370 feet are exceedingly rare, just 8 trees. 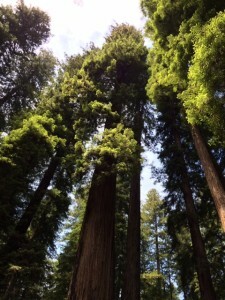 Then the two tallest trees are about 377 and 380 feet in height. There apparently are factors in play that are limiting tree height. 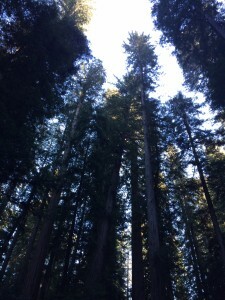 From the demonstrated heights the trees have a hard time obtaining 370 feet. 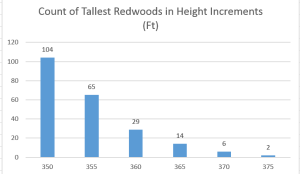 There are several studies on theoretical redwood maximum height that have come up with heights a little over 400 feet. 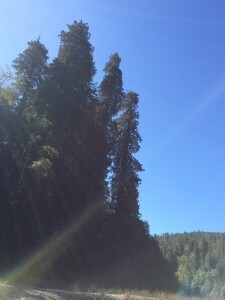 These studies take into account the energy required to draw water up to the top of the tree as well as the water which can be extracted from atmospheric fog. However there are no trees now in excess of 380 feet. 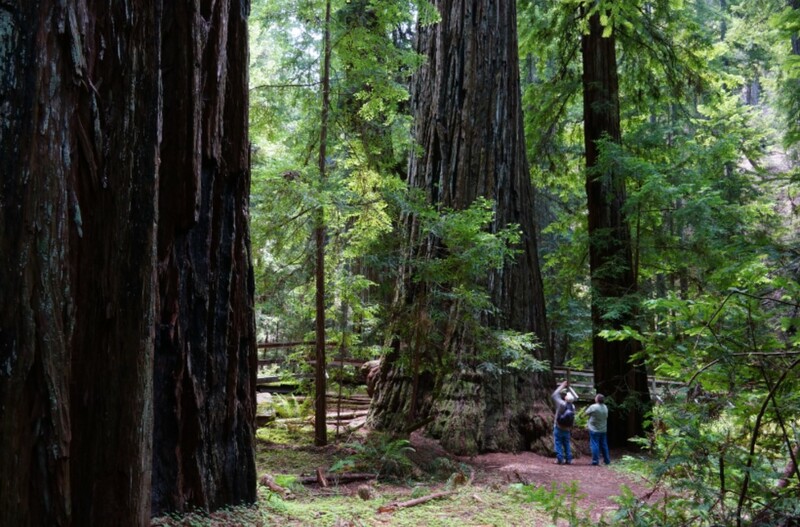 While it is true what remains is just five percent of the original redwood old growth the parks themselves are in some of the best areas for big and tall trees. 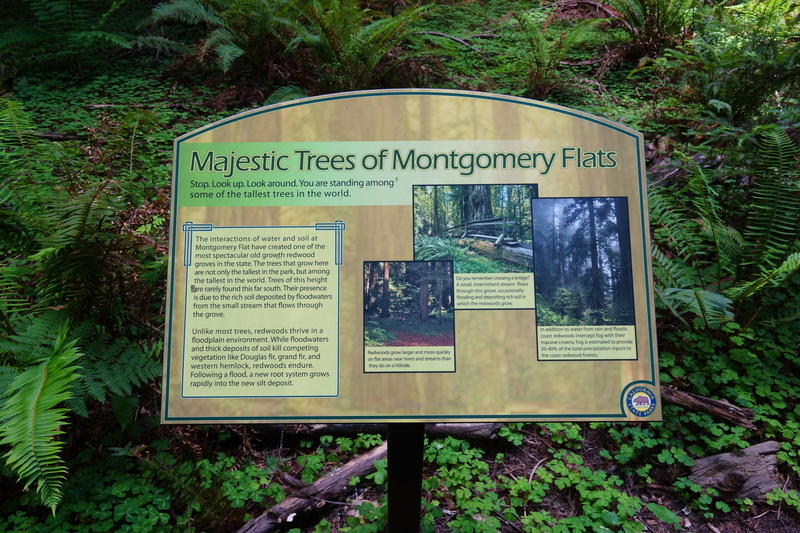 Also many of the parks have been around for quite some time now, and in some cases there is a fifty year growth record that can be referenced for some of the tallest trees. 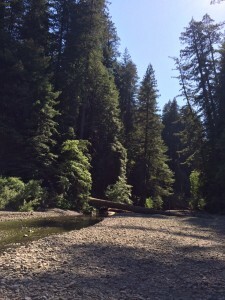 For example in 1964 National Geographic published research on very tall trees along Redwood Creek in the area that became Redwood National Park. 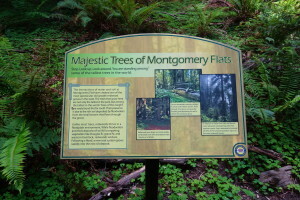 At that time the three tallest trees in that area were 364 – 368 feet in height. In the fifty years since 1964 none of these three trees have reached 370 feet in height. 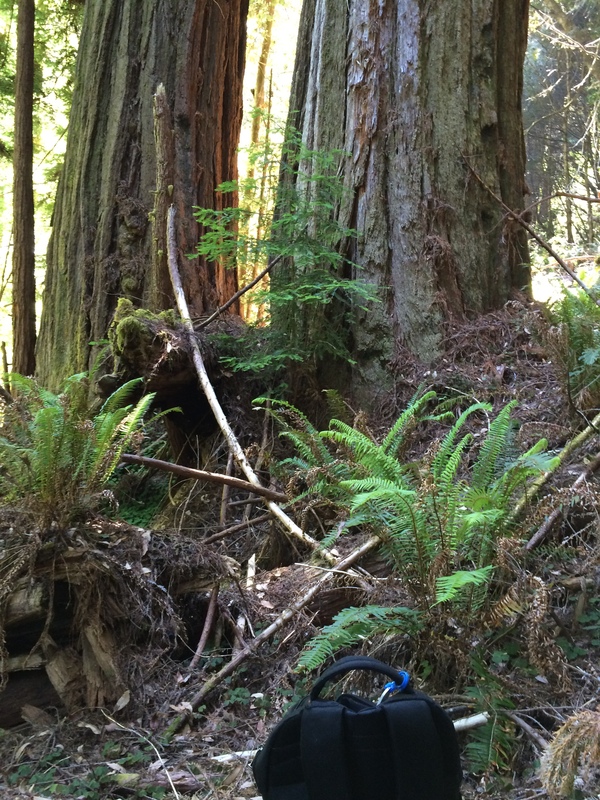 There is a physiological limiter on tree height that seems to be around the 370 foot mark. As another example, the Humboldt Rockefeller forest is noted as having many of the tallest redwoods. 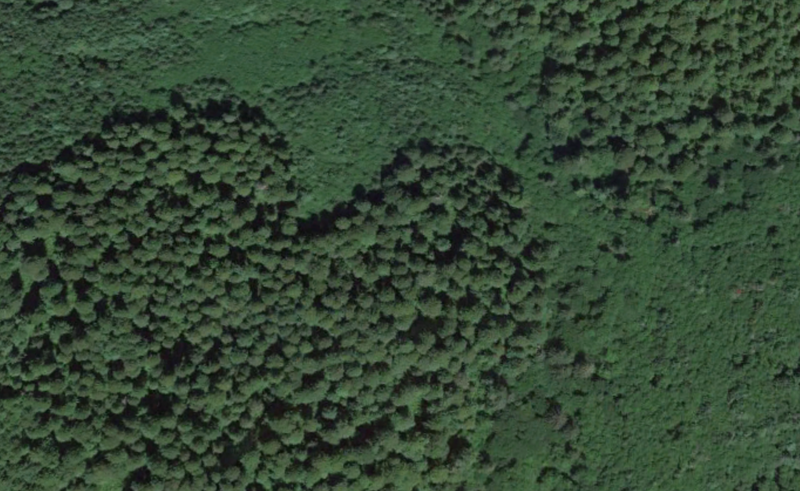 This forest has been protected for over eighty years. 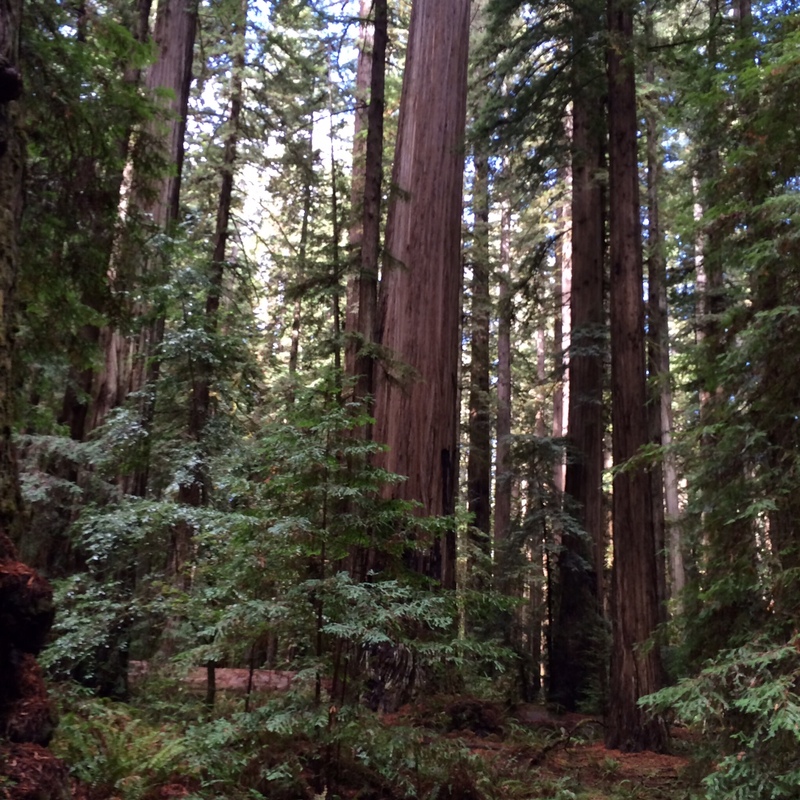 At this point in time no tree has reached 375 feet in that old growth forest. 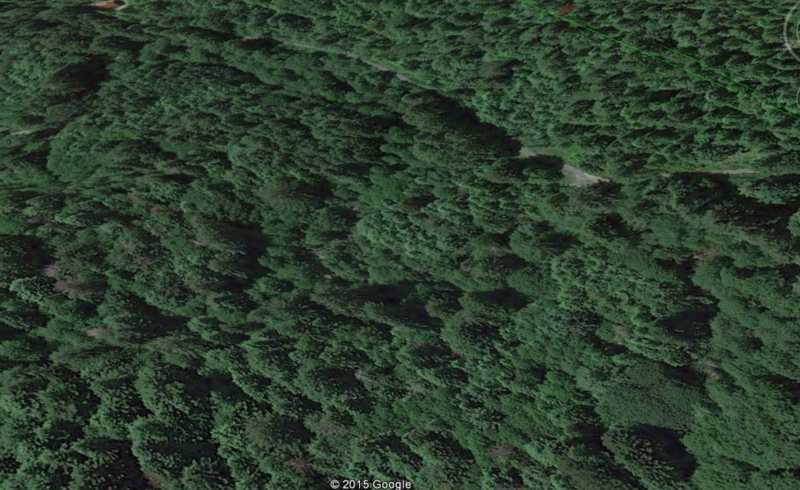 There are dozens of trees over 360 feet in the Rockefeller forest area but none have reached 375 feet. 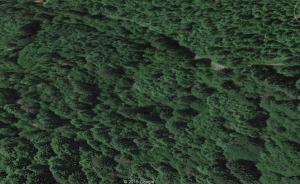 Again some type of physiological maximum appears to exist for tree height around the 370 foot mark. To review a specific tree, let’s take a look at this 373 foot redwood. 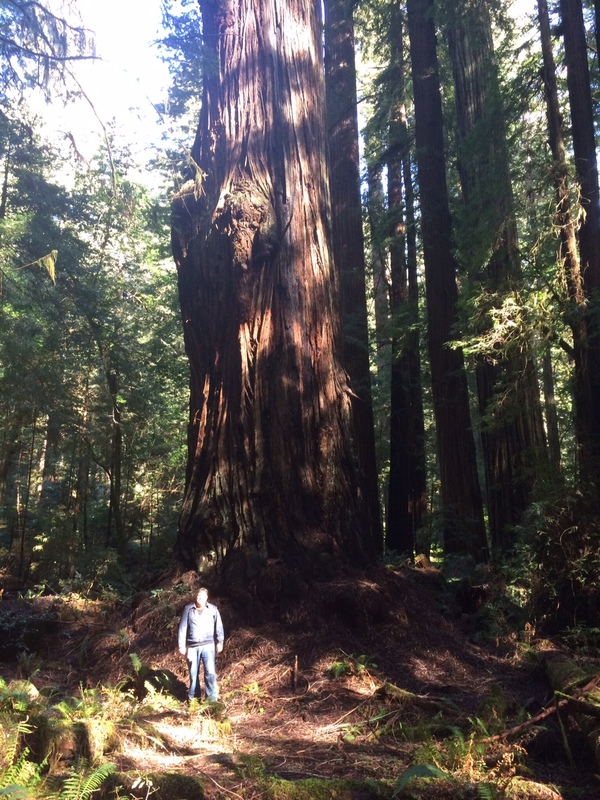 This is a magnificent tree in the Humboldt Rockefeller forest whose most recent published height measurement is 372.73 feet. 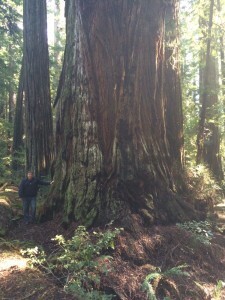 As you can see it also has a large diameter – over 17 feet. 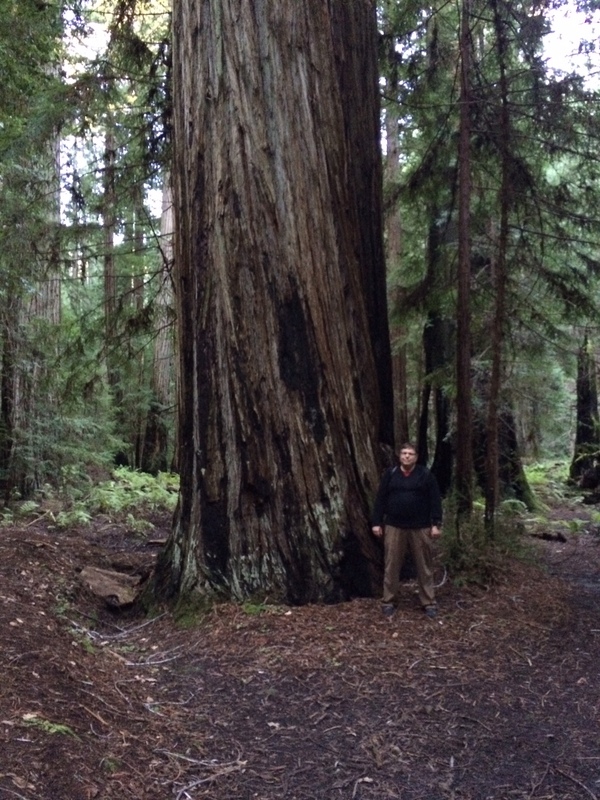 Based on lists of the largest redwoods, this is the largest volume redwood of those over 370 feet. 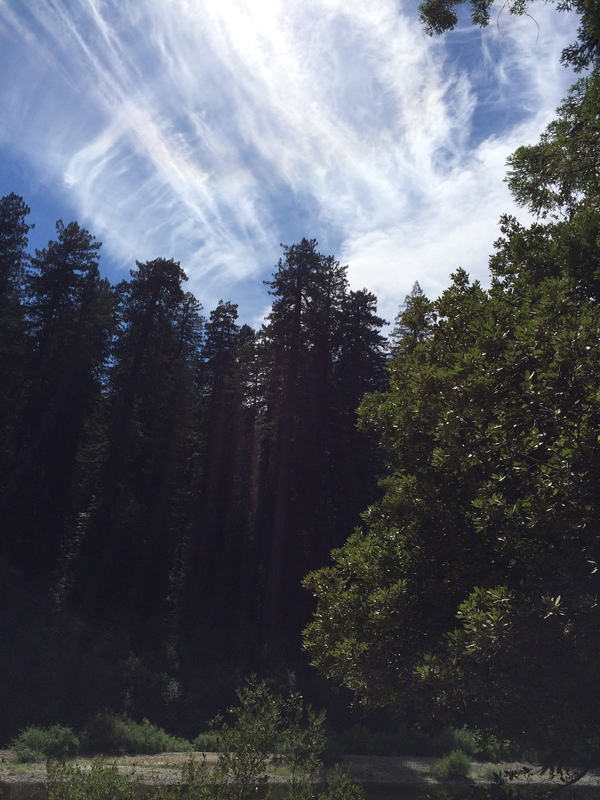 When I found this tree in the forest I immediately knew what tree it was and it just took my breath away. It is an impressive tree in an incredible forest setting. 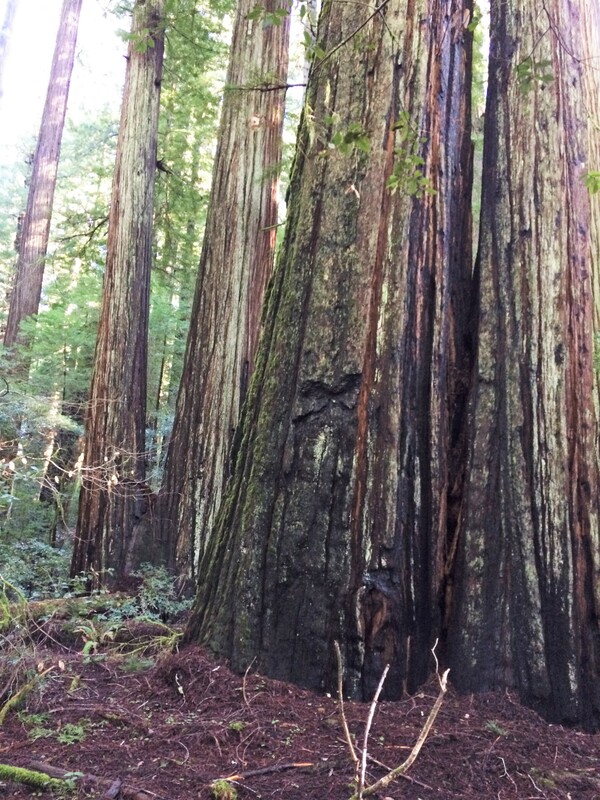 The first published height for this tree, shortly after it was identified as one of the tallest trees, was 368.6 feet in 2000. Then the most recent published height was 372.7 feet in 2013. 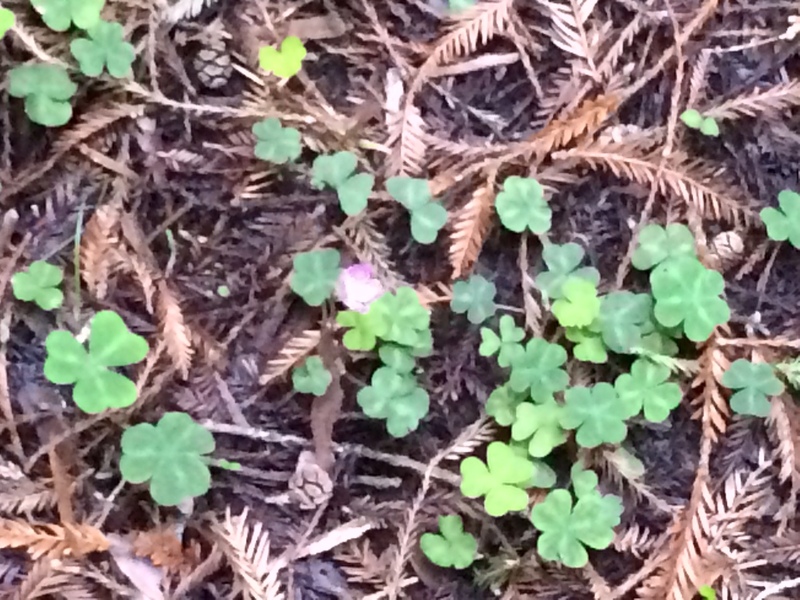 So that is a growth rate of 4.1 inches per year or one foot every three years. 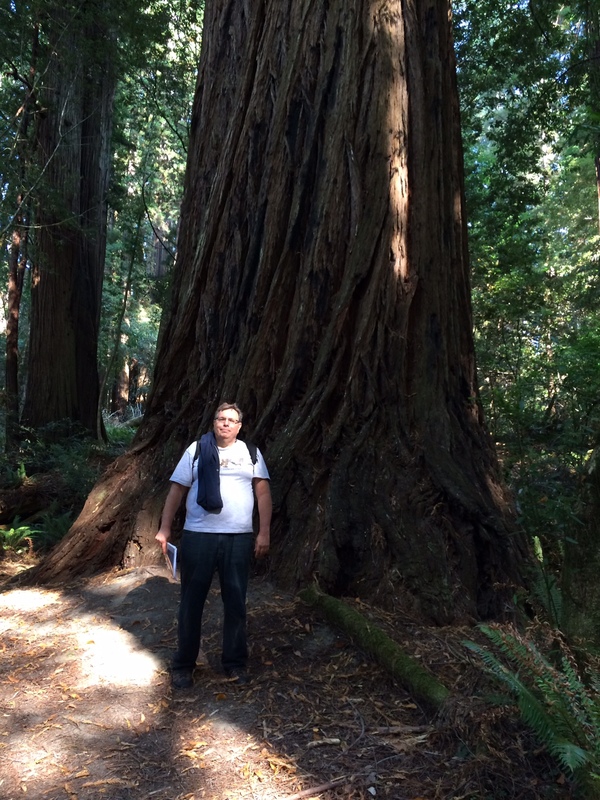 So does that mean this tree can get to 380 feet in twenty years and 400 feet in eighty years? 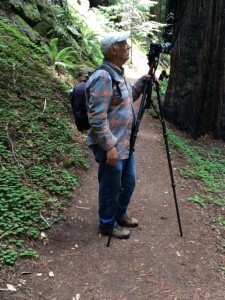 I would say 380 feet is a good possibility but 400 feet is a stretch. 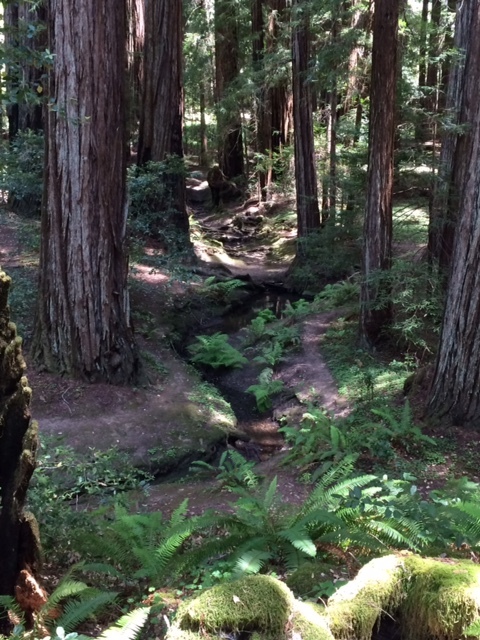 This beautiful tall redwood grows on a bench along Redwood Creek. 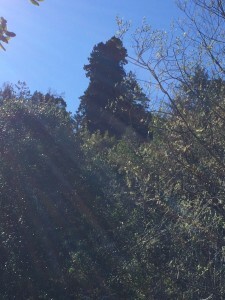 It is another one of the extremely rare 370 footers – the latest published height I have found is 371 feet from 2013. 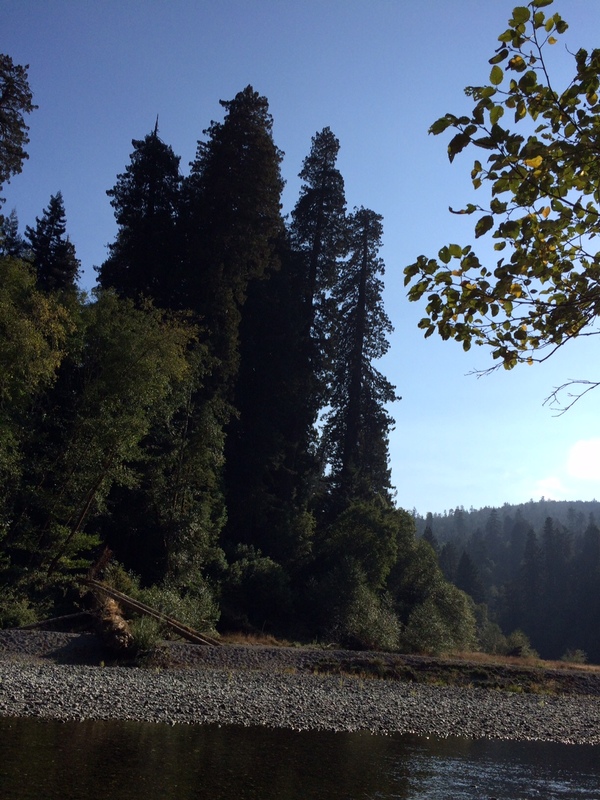 This tree could not be in a more pleasant setting. 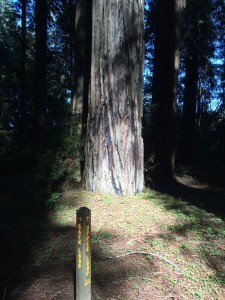 Published measurements over time indicate this tree has grown about eight feet in the last fifty years. 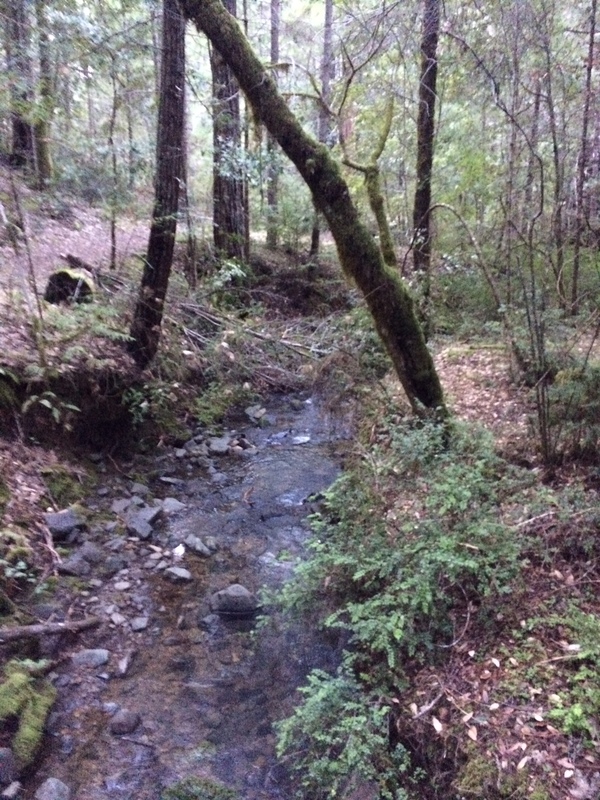 This works out to be two inches per year. 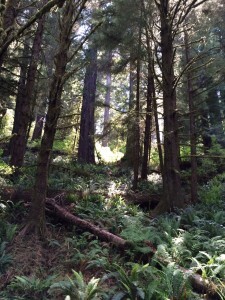 In recent years the height gain per year has been more than the fifty year average. Does that mean this tree will be a 380 footer in a few years and a 400 footer in thirty years? Again 380 seems possible, even probable, and 400 would be a stretch. 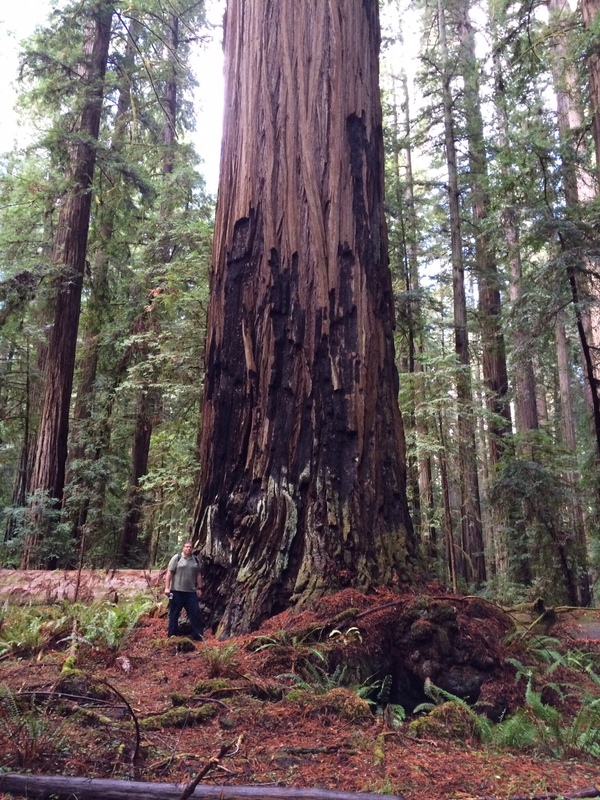 There is no confirmed record of a current or historic 400 foot redwood tree. It is possible factors could be in play to increase or decrease redwood growth rates. 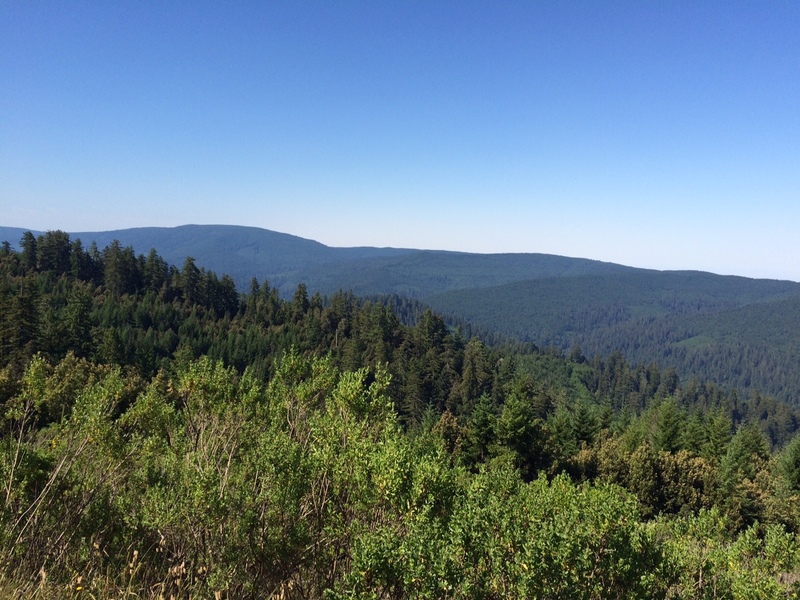 For example the increase in atmospheric carbon could be helping the forest get taller as there is more energy provided for photosynthesis. 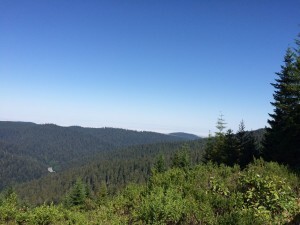 Or if there is a decrease in foggy summer mornings that might have a negative effect. 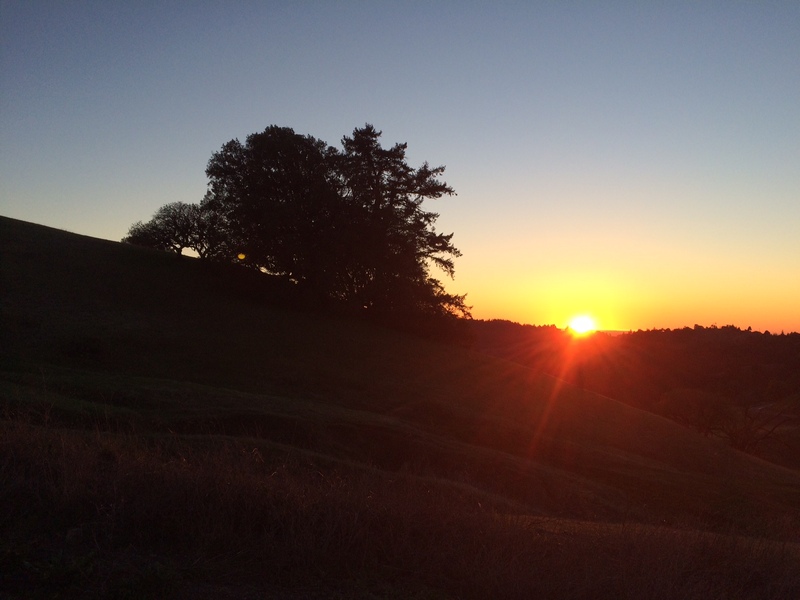 These types of changes are being evaluated and quantified by current redwoods researchers. 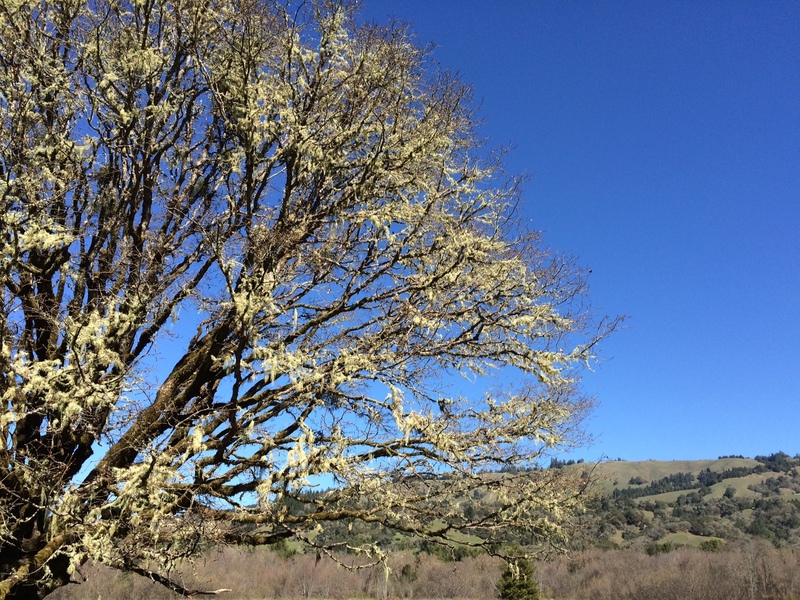 Also any tree that gets high above its neighbors has a top that is less protected from wind. All the tallest trees will eventually lose part of their crown to wind. 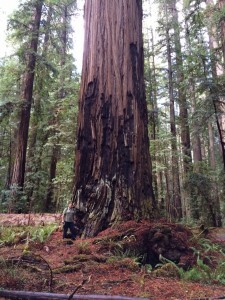 However they could still keep on adding wood to their surface area over time, allowing them to become the largest volume redwoods. 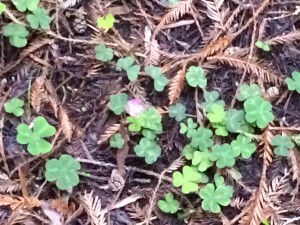 And it is possible their crowns could “reiterate” (grow back) after breaking off. So how tall can a redwood tree grow? 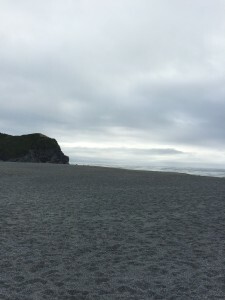 My guesstimate is 400 feet. 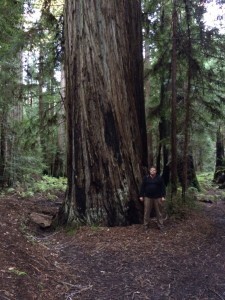 It is more difficult to assess the volume of a redwood tree than to measure its height. Trees have different shapes at the bottom and then taper off at different rates as height increases. Then the volume of the branches and limbs needs to be taken into account as well. 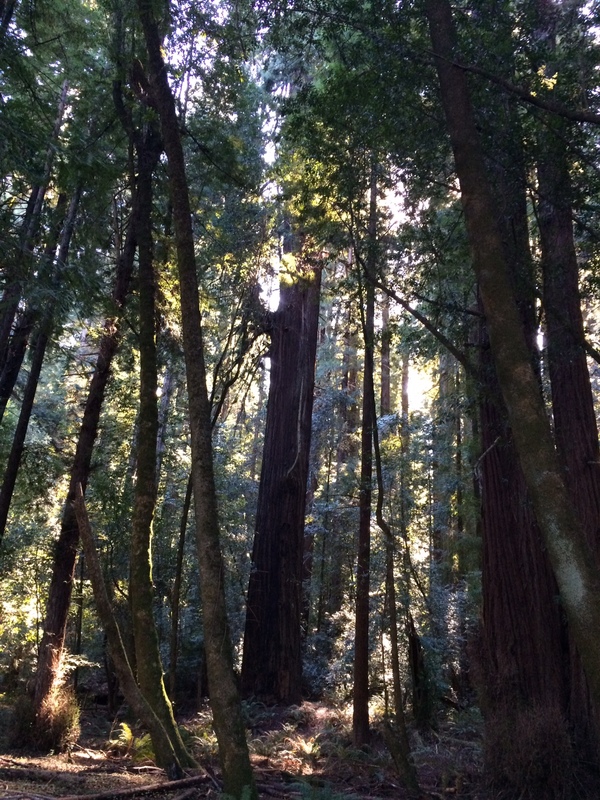 In the last five years no new tallest redwoods have been identified. 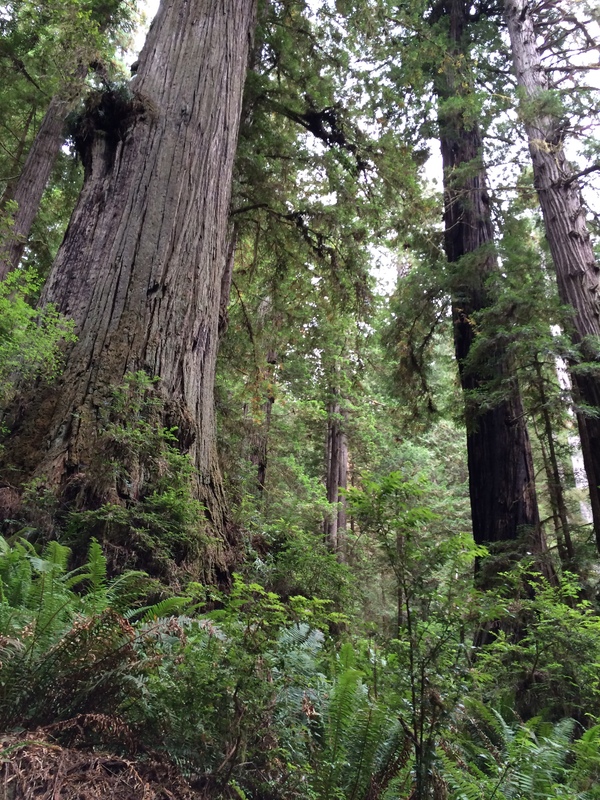 But there have been some new top ten largest redwoods found and preliminarily measured. There are areas of the redwood parks that have not been fully explored for the largest redwoods. 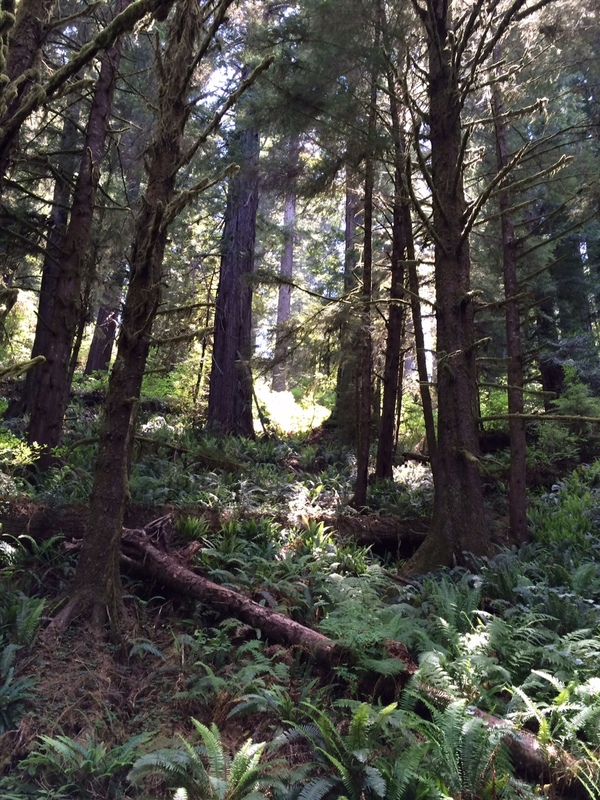 Generally these are off trail hillside areas in the northern redwood parks. 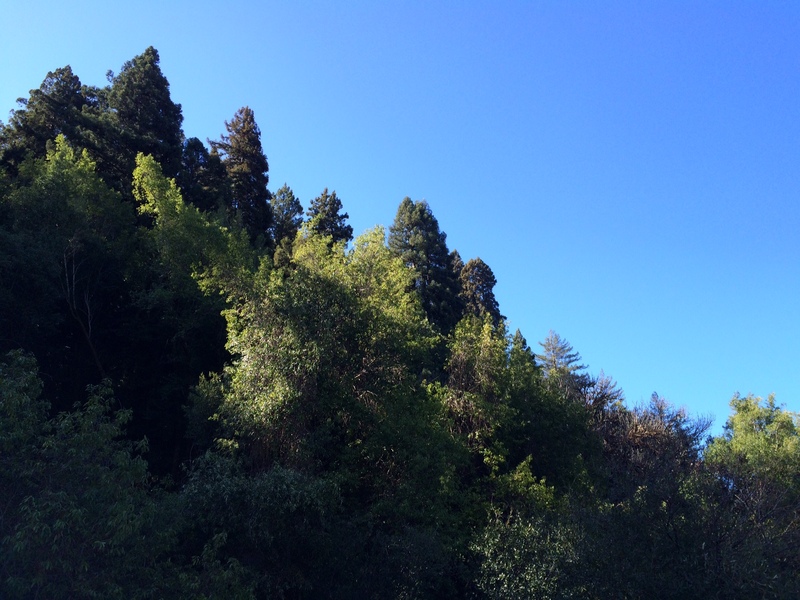 There are also some differences of opinion on what to include for volume when a redwood tree has a complex trunk with partial fusions. 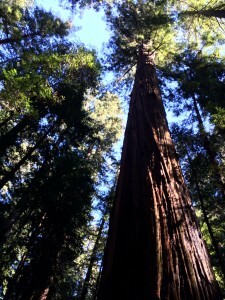 This is particularly true for the two largest trees listed above. This is a point in time distribution of the thirty largest by volume redwoods. 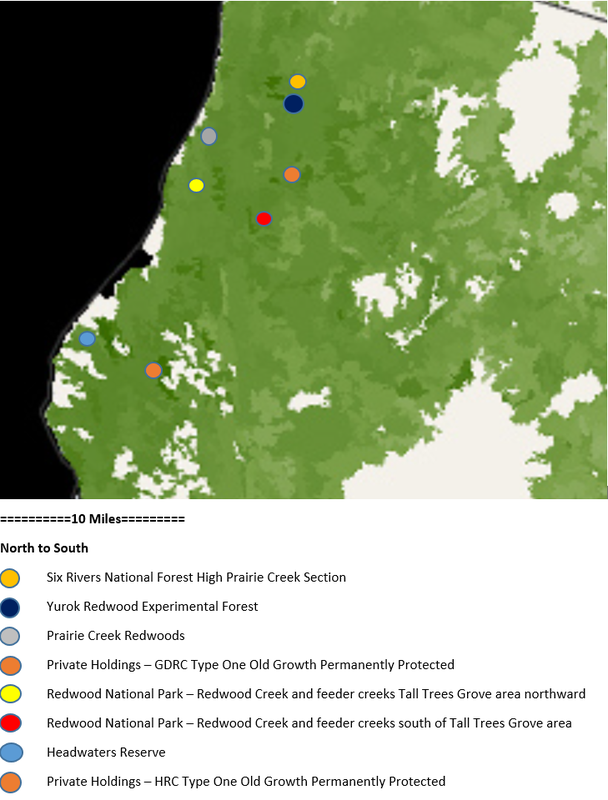 It is incomplete because not all the redwood range has been surveyed for volume and new discoveries are being made. 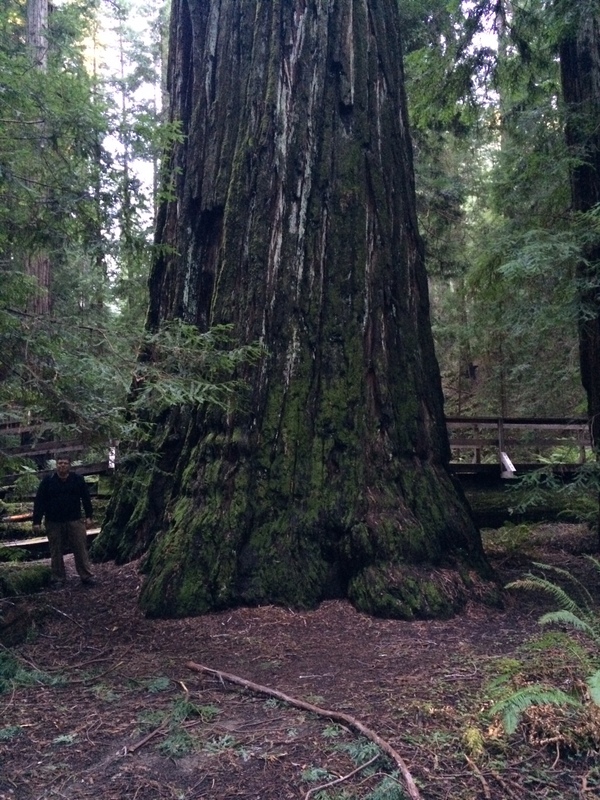 As you can see there are very few redwoods over 35,000 cubic feet. 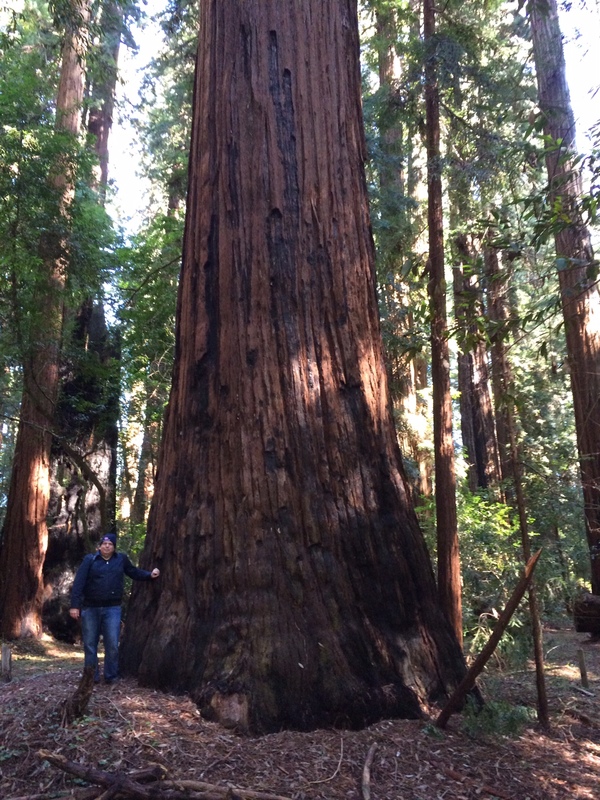 It is possible a few historic redwood trees may have exceeded 45,000 cubic feet and rivaled the 52,500 cubic feet in the largest known living tree – the General Sherman sequoia. 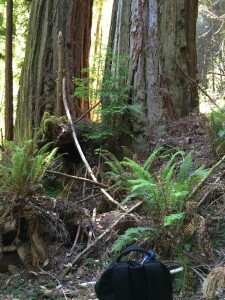 Possibilities are the Crannell Creek Giant and Lindsey Creek tree. There is more unknown out there for tree volume, the current profile of top redwood trees by volume is not as complete as the profile of top redwood trees by height. 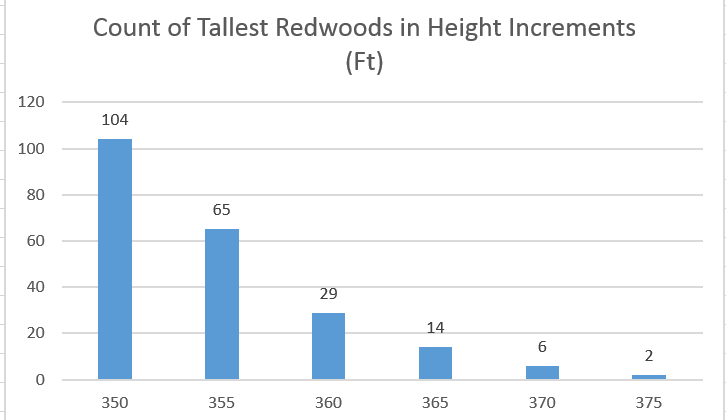 It’s just harder to come up with a volume measure for a redwood, although if diameter and height are known a volume range can be inferred. The largest known volume redwood in Humboldt is about number ten on the list of the largest redwoods by volume. It is a powerful presence in the forest. 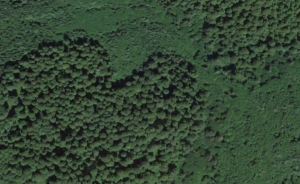 It sits in a forest growing on an alluvial flood plain. 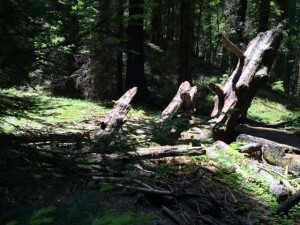 This tree lost maybe thirty feet from its top decades or centuries ago. 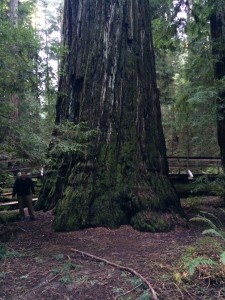 At one time it was probably one of the tallest trees but now has aged into one of the largest ones. 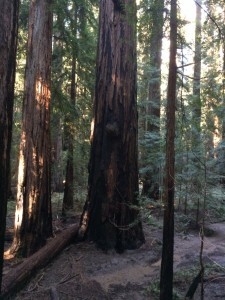 Forest surrounding largest tree in Humboldt. 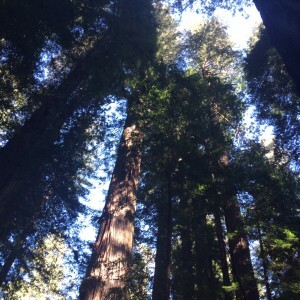 Many, many big, big trees. 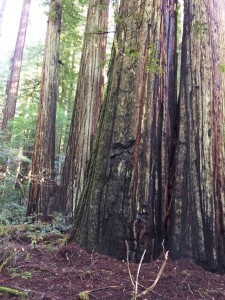 A large volume redwood probably adds more wood per year than a tallest redwood since it has more surface area to cover. 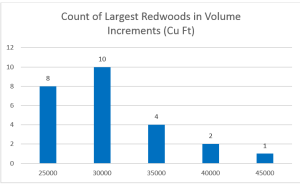 I am sure attempts are being made to measure redwood volume over time. 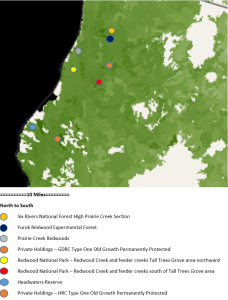 A new technology I have noticed here and there are ground based LiDAR sensors tied into remote power generation stations. 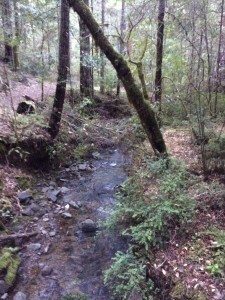 This would be an effective way to use technology to measure something that is difficult to measure. 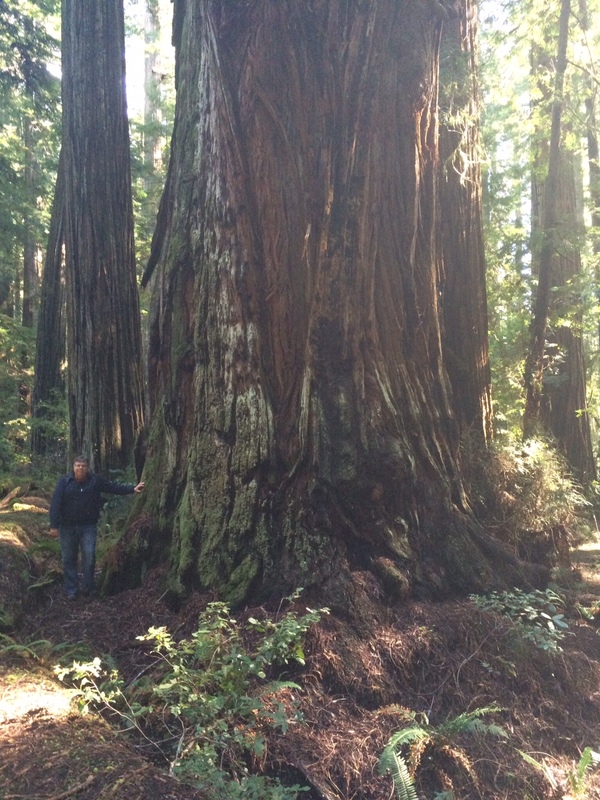 So how large can a redwood tree become? 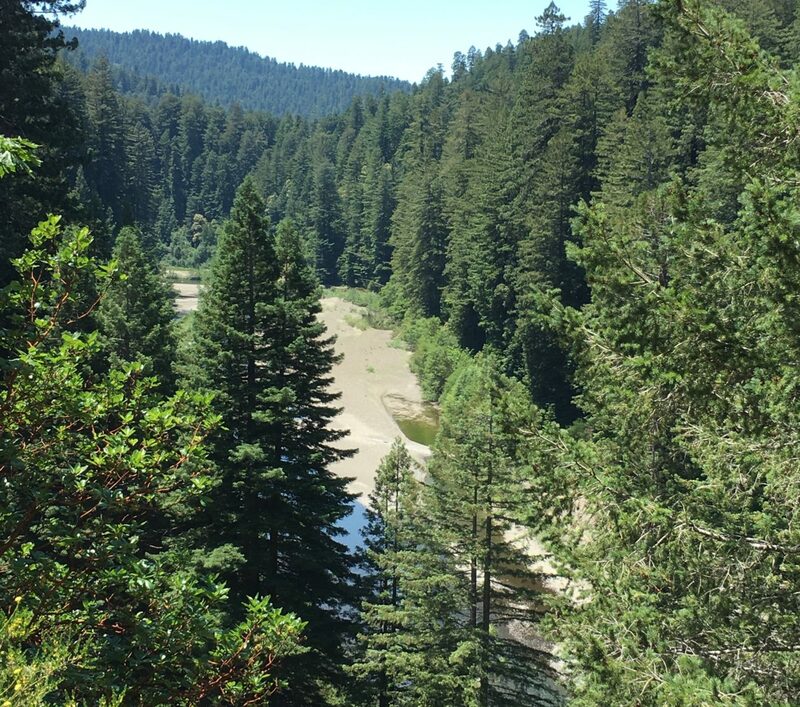 The current maximum is around 45,000 cubic feet, there may have been a few larger than that in the past. 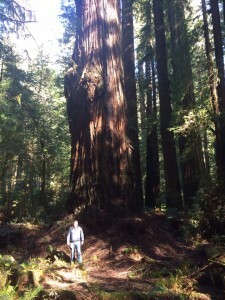 And in the future there could again be 50,000 cubic foot redwoods. No doubt.